VIVOTEK's FD8361 is the latest professional-series outdoor fixed dome network camera featuring superb megapixel image quality and exceptional bandwidth efficiency. With day & night functionality and a weatherproof housing, it is especially suitable for tough outdoor surveillance environments such as parking lots and streets. Featuring a 2-megapixel sensor, the FD8361 is able to provide extremely wide coverage with the finest details. Additionally, the camera is incorporated with high performance H.264 compression technology, and has adopted a number of innovative bandwidth-efficient technologies built into the camera, including cropping, ePTZ, and activity adaptive streaming. In order to adapt to constantly changing outdoor lighting conditions, the FD8361 features an auto-iris lens to perform better image quality under different lighting environment. The camera also comes with a removable IR-cut filter and IR illuminators for superior image quality around the clock. For protection against the elements, the camera is furnished with an IP67-rated housing and vandal-proof casing to withstand rain, dust, and vandalism. The PoE-powered heater and fan further enhance the FD8361's performance and reliability in extremely cold and warm weather. The integrated BNC connector allowing the FD8361 to be connected directly to an analog monitor provides enhanced flexibility and usability and ease of installation. Other advanced features include a 3-axis mechanism for flexible installation, 802.3af PoE, SD/SDHC card slot, tamper detection, and two-way audio. 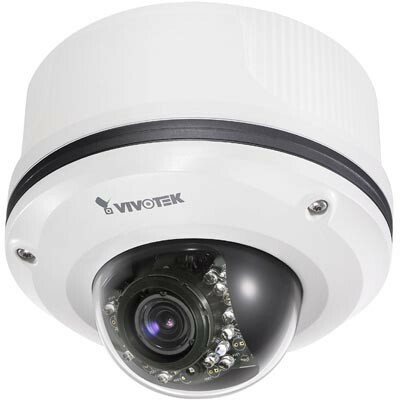 With the included ST7501 32-CH central management software, the FD8361 is the ultimate camera for demanding outdoor environments. © 2012 CameracConcept B.V. All Rights Reserved.